Of course he still knows every last curve throughout the Madonie mountain range of Sicily, from the extended bends to the spine-chilling hairpins. On the road to Cerda, about an hour southeast of Palermo, Gijs van Lennep steps on the gas. His destination is a small shop on the edge of the historical center of Cefalù, a town said to be one of the most beautiful in all of Italy—più belli d‘Italia. At the moment, however, van Lennep only has eyes for the road stretching before him. “In many places they didn’t even have guardrails,” he recalls while steering the Porsche 718 Cayman vigorously into the next sharp, blind curve. Hundreds of thousands of spectators used to line the course of the Targa Florio, the infamous endurance race through Sicily’s mountainous countryside. Van Lennep’s memories of the wildly gesticulating fans he raced by are still as fresh as ever. That was a while ago—forty-five years, to be exact—and he’s now seventy-six. Van Lennep and Herbert Müller won the last Targa Florio as a world championship race in 1973, driving a Porsche 911 Carrera RSR. Eleven laps of seventy-two kilometers each. Approximately nine hundred curves in six hours and fifty-four minutes. Not for the faint of heart. The art of winning the Targa Florio was as simple as it was deadly. “You had to drive as long and as fast as you could between all the curves,” he says. 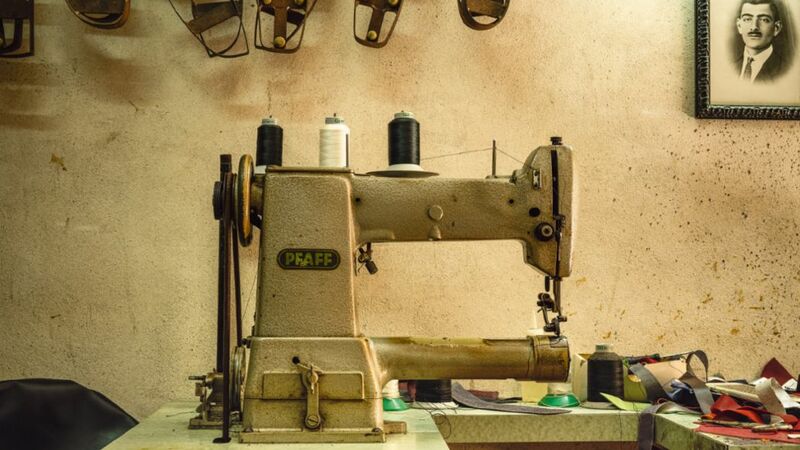 A few kilometers down the road, Francesco Liberto is standing in his shop on the seaside boulevard of Cefalù. The man whom everyone calls “Ciccio” runs his fingers along curved lines on a yellowed piece of paper. 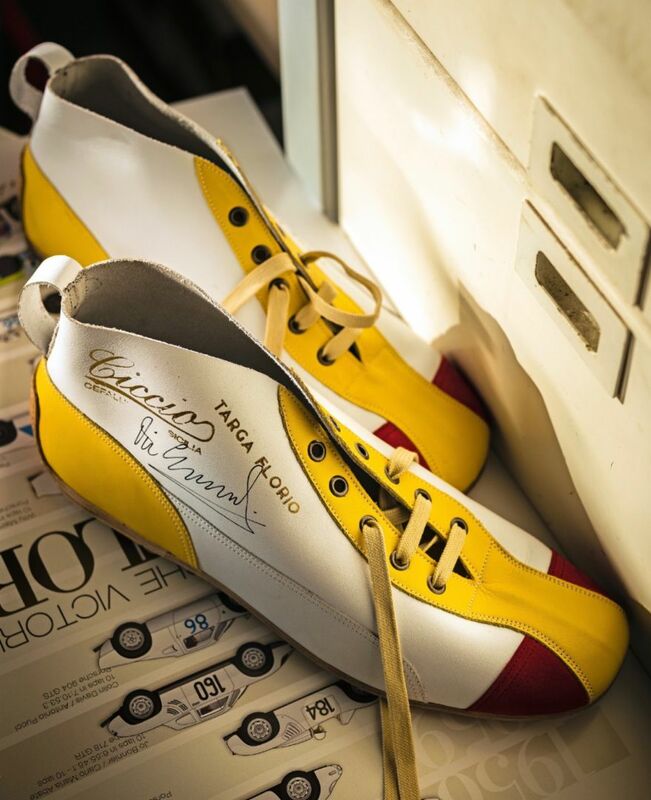 These lines form the outline of van Lennep’s right foot, which Ciccio sketched many years ago in preparation for fitting the Dutch driver with shoes that fit like a second skin—as he has done for so many other famous drivers. Jacky Ickx, Herbert Linge, Carlos Reutemann, Leo Kinnunen, and Gerhard Mitter all had their feet measured by Ciccio, as did German actor Daniel Brühl, who played Niki Lauda in the epic movie Rush about Formula One. Ciccio, now eighty-two, looks back at the past with a touch of nostalgia: at Alain Delon, for whom he sewed black shoes while Delon worked on the movie The Leopard; at Romy Schneider, whose “onion-like” feet presented a challenge to his sandal-making skills; and at Italian songwriter Lucio Dalla, a passionate Porsche driver who ordered red-and-white shoes. 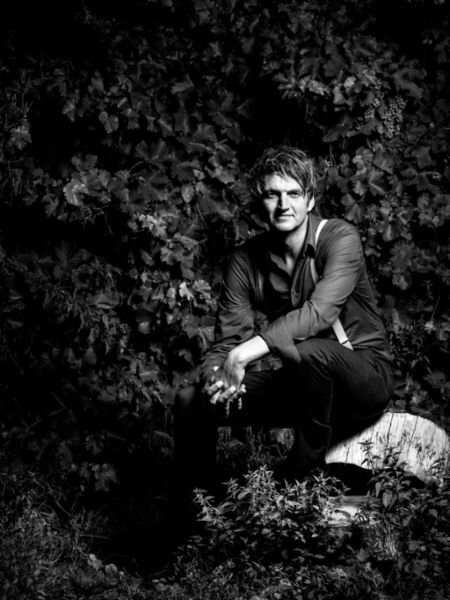 A few years ago, UNESCO recognized Ciccio’s work as part of the world’s cultural heritage. 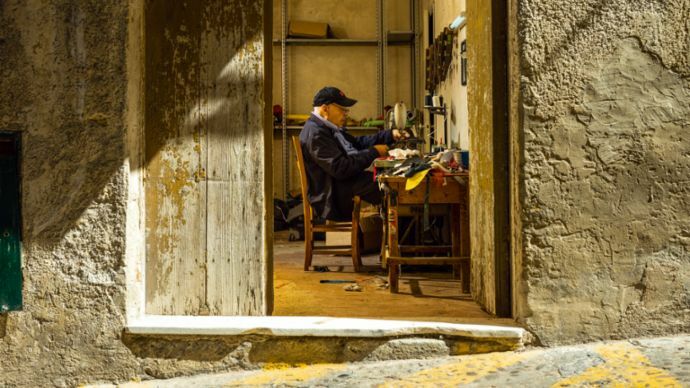 Time seems to stand still in Francesco Liberto’s workshop in the historical center of Cefalù. He makes shoes as he always has, only not for quite as many hours per day. 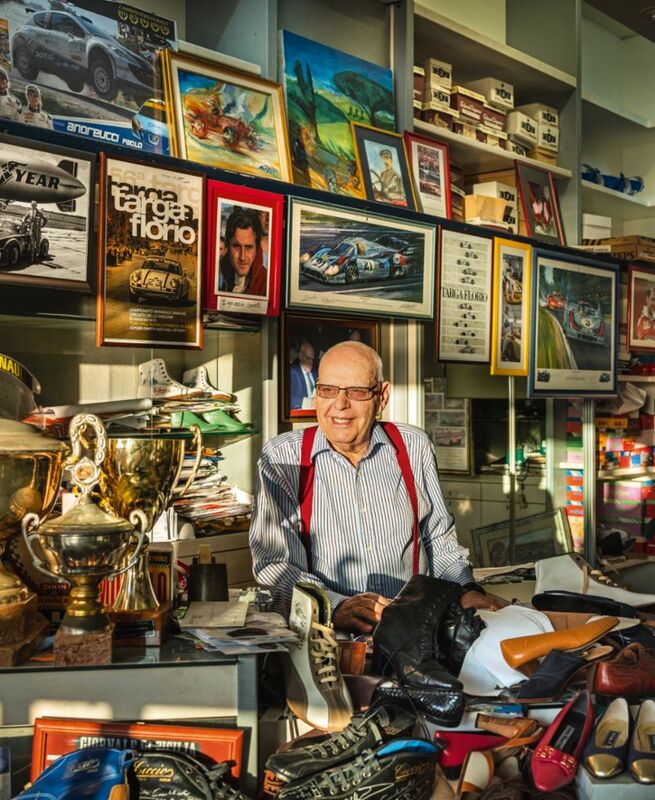 Ciccio paces back and forth in his shop, which is so full of shoeboxes and racing mementos that it might almost be a museum. He admits to being “a little excited,” because he hasn’t seen his friend van Lennep for two years now. The walls of the shop are lined with photos featuring handwritten dedications and thank-you notes. He turns his gaze to pictures of Ignazio Giunti, Nanni Galli, and Vic Elford. It all started with them. Giunti and Galli, who drove for Alfa Romeo, met Ciccio in a restaurant in Cefalù in 1964. At that time, the racing world was by no means as insulated from everyday life as it is today. The young shoemaker was inexorably drawn to the mixture of boldness, speed, and technology and quickly struck up a conversation. 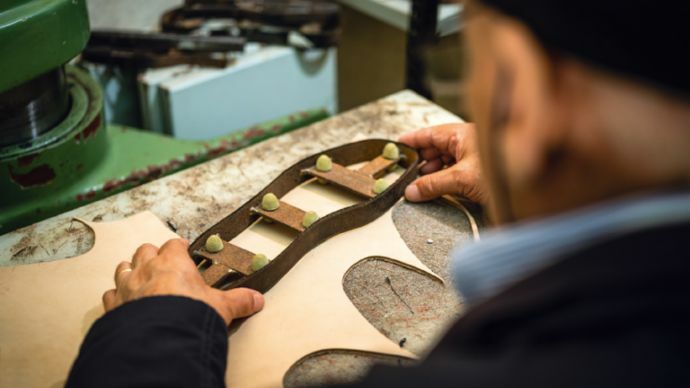 Over pizza, he described his craft to the two drivers and ended up walking back to his workshop with a commission to make special racing shoes for them. They had to be soft and have a thin sole. Like ballet shoes, they couldn’t have any frame or heel to give wearers the best possible feel for the accelerator. 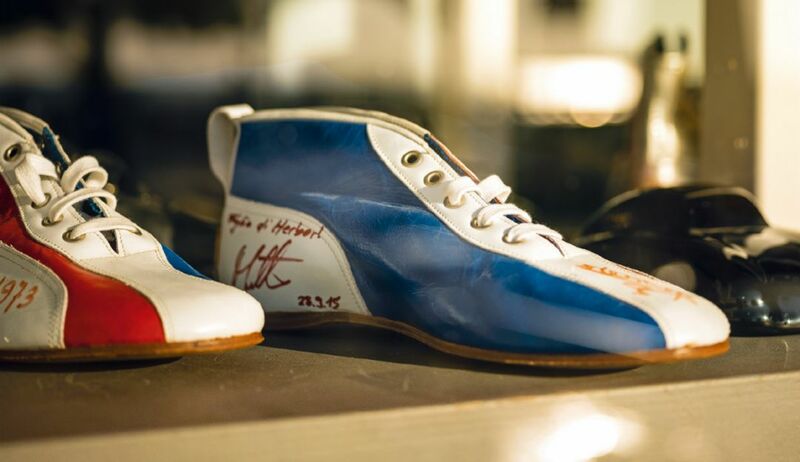 “Race-car drivers wore awful shoes back then,” he recalls. Some wore sneakers. Others wore heavy shoes with nails and broad frames—entirely unsuitable for racing. Ciccio set to work and created the design that has since drawn tourists from around the globe to his shop: ankle boots or shoes, with laces and stitched panels in vibrant colors that often match those of their owners’ home countries. The design of these racing shoes has long since attained cult status, as has their creator—who always walks to his workshop. “I’ve just come from the Mille Miglia,” says van Lennep. “And guess which shoes I wore?” Ciccio laughs. “Mine, of course,” he responds. 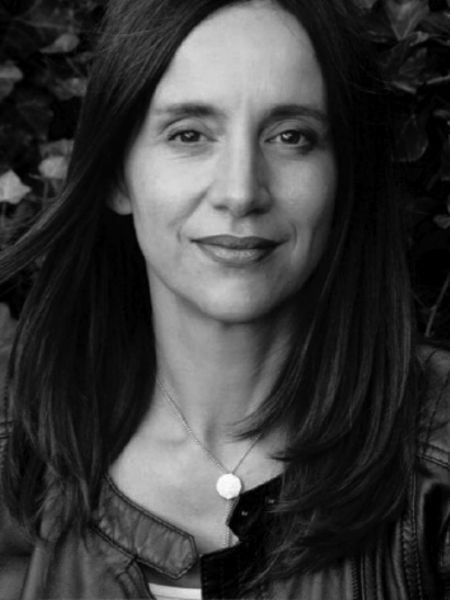 “And you’re still making shoes?” asks van Lennep as if he didn’t already know the answer. “You bet. The day I stop is the day I die,” responds Ciccio. Who could understand that better than this race-car driver who sat at the wheel for the first time at the age of nine, has entered 250 pro races, and still contests rallies in a Porsche 356—often leaving younger rivals in the dust? Experience counts, and so does grit. “You have to keep at it,” says Ciccio. Which he does in his private life as well.